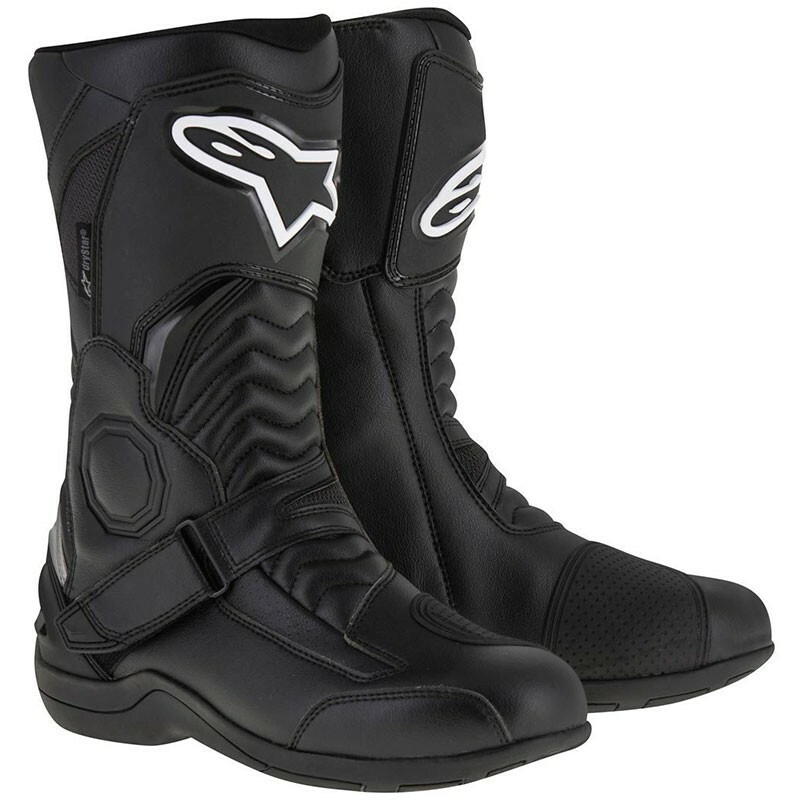 Alpinestars is proud to present you his homologated waterproof man leather moto boots the Pikes Drystar. Ergonomically profiled for superior fit and flexibility on bike’s foot-pegs and long-lasting comfort. Upper boot surface constructed from microfiber offering excellent levels of comfort, durability and abrasion resistance. Waterproof and breathable DRYSTAR® lining for unsurpassed all weather performance. Wide entry aperture for convenience with Velcro shin plate closure. The TPU shin plate offers support and protection. New slim TPU shift pad for a balanced protection and flexibility. Double density ankle protector on medial and lateral side is layered under the upper boot surface offers protective performance in key area.toe box protector is layered under the upper boot surface to couple comfort and protection. Pikes DRYSTAR® boot is CE certified to CE CERTIFIED EN 13634:2010. Extensive front and rear accordion flex zones constructed from microfiber for superior comfort, extension, control and support. Lateral instep strap Velcro closure coupled with a TPU heel protector for a secure and precise closure. Removable anatomic EVA footbed with Lycra lining on top.